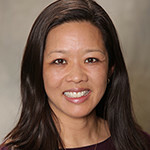 Rebecca Lai leads corporate growth strategies at iRhythm, a digital health care company redefining the way cardiac arrhythmias are clinically diagnosed by combining wearable biosensor devices and cloud-based data analytics to distill data from millions of heartbeats into clinically actionable information. Prior to joining iRhythm, Becky founded her own consulting practice advising executives at start-up and Fortune 500 med tech and digital health companies on portfolio planning, market development, and commercialization initiatives. Previously, Becky held sales and marketing leadership roles with increasing responsibility at Medtronic in the cardiac rhythm, patient data management and atrial fibrillation businesses, introducing over 40 products and services worldwide. Her global experience spans both developed and emerging markets, including a two-year assignment in South Africa. She holds a BSE and MSE in Bioengineering from the University of Pennsylvania.